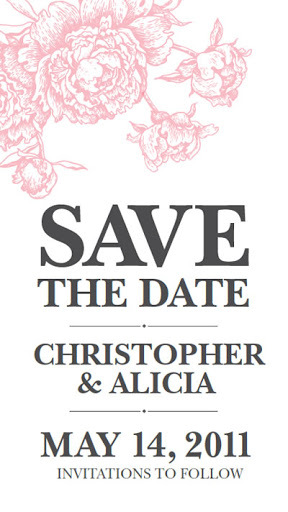 Alicia designed and printed 'Save the Date' cards, which we then included in the Christmas Cards of the 30 +/- close family and friends we invited to the wedding. . .